Italian province of Emilia-Romagna is a perfect destination for a long weekend trip. Here you can find something for every taste: rich history, interesting culture, delicious food, green nature, seaside resorts, beautiful architecture, there are even 11 UNESCO World Heritage Sites in the region. 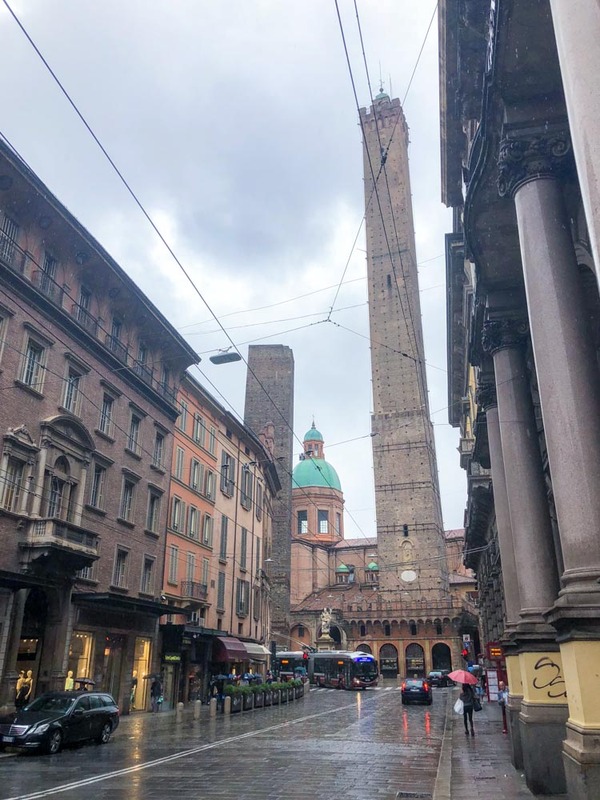 I have visited Emilia-Romagna several times and in this blog post I am rounding up my favourite cities to visit in this part of Italy. 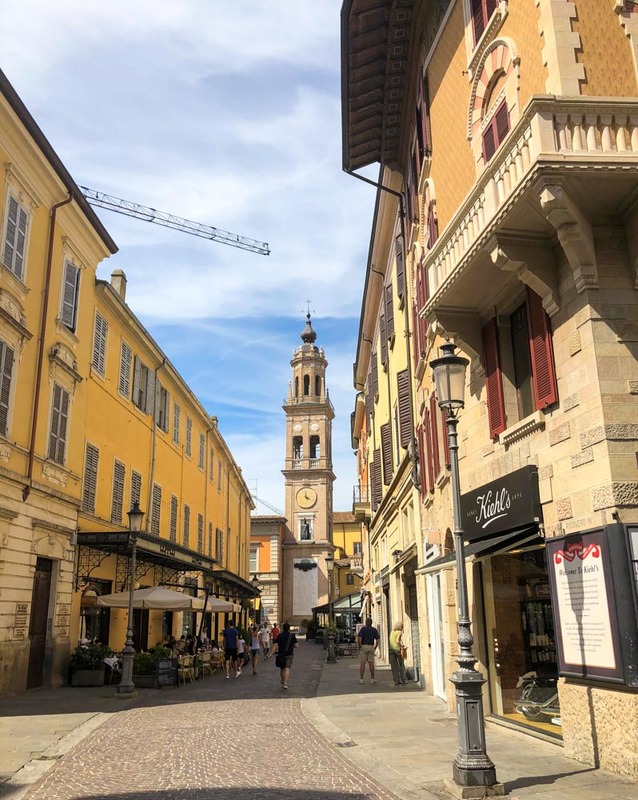 The capital of Emilia-Romagna region is a charming city with rich history with first settlers dating back to around 1000 BCE. It is most known for being a home to the oldest university in the world. 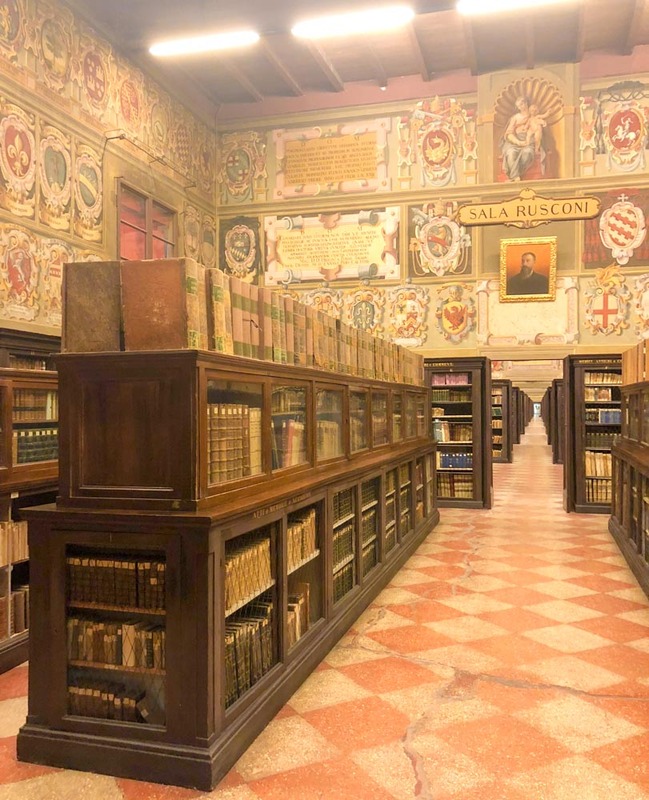 The University of Bologna was established in 1088 AD and today you can visit Archiginnasio palace, once a main building of the university. Inside you can see the Anatomical Theatre, which was used for anatomy lectures, and library with an important collection of books from the 16th century on. Next to the palace is the Neptune Fountain and main square Piazza Maggiore with Basilica di San Petronio. There are also some other important historical palaces like Pallazo d’Accursio, the Palazzo del Podesta and the Palazzo Comunale. For the best view of the city visit the two towers – Torre Garisenda and Torre degli Asinelli. 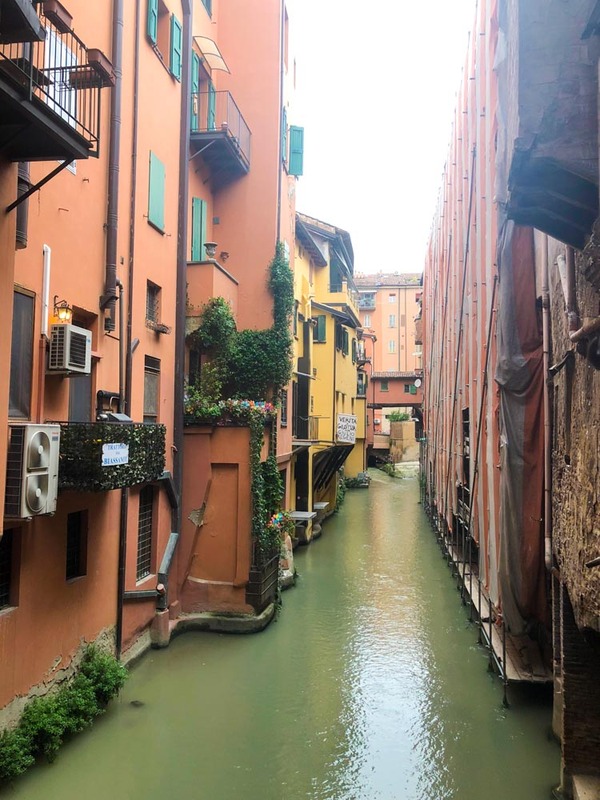 Don’t miss out on Bologna’s secret canals. They have more than 60 kilometers of them, but the buildings were built over them so they are hidden today. However, you can find a few windows in the streets to peak at the canals. One of my favourite parts of Bologna are its beautiful porticoes. You can just walk beneath them, hide from rain or summer heath. They have more than 38 kilometers of them and today there are an UNESCO World Heritage site. 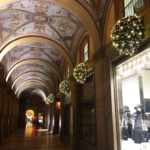 Bologna is also a great Christmas time destination. See all the best Christmas spots and decorated porticoes here. 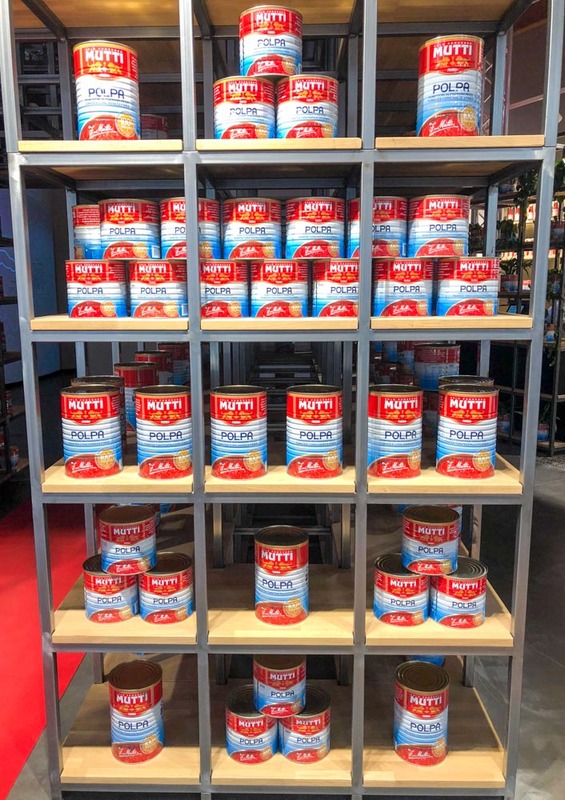 If you want to get an ultimate Italian food experience, go to FICO Eataly World. Pasta, mortadella, pizza, cheese, wine, gelato and more! 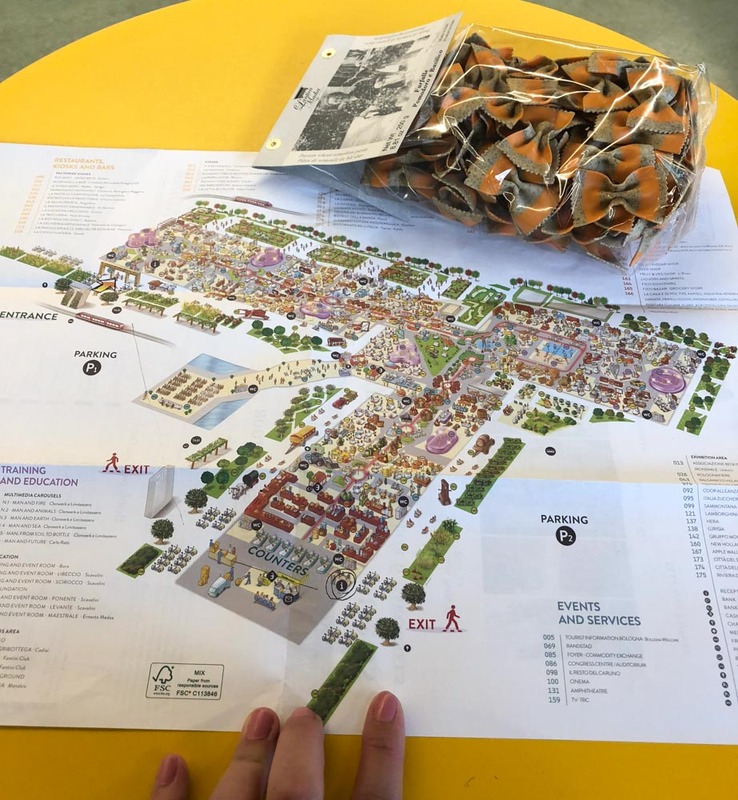 It is the largest food park in the world. Besides tasting all the best Italian food you can learn how this food is produced in 40 different farming factories. 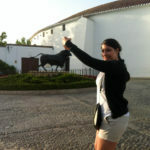 They also have stables with more than 200 animals, fields with 2000 plants, different events and educational classes. 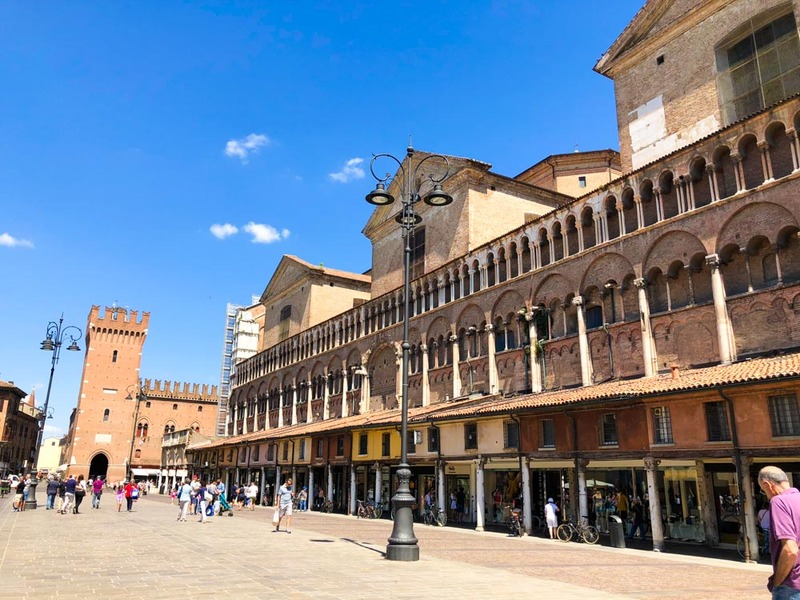 Ferrara easily becomes one of your favourite cities in the region. 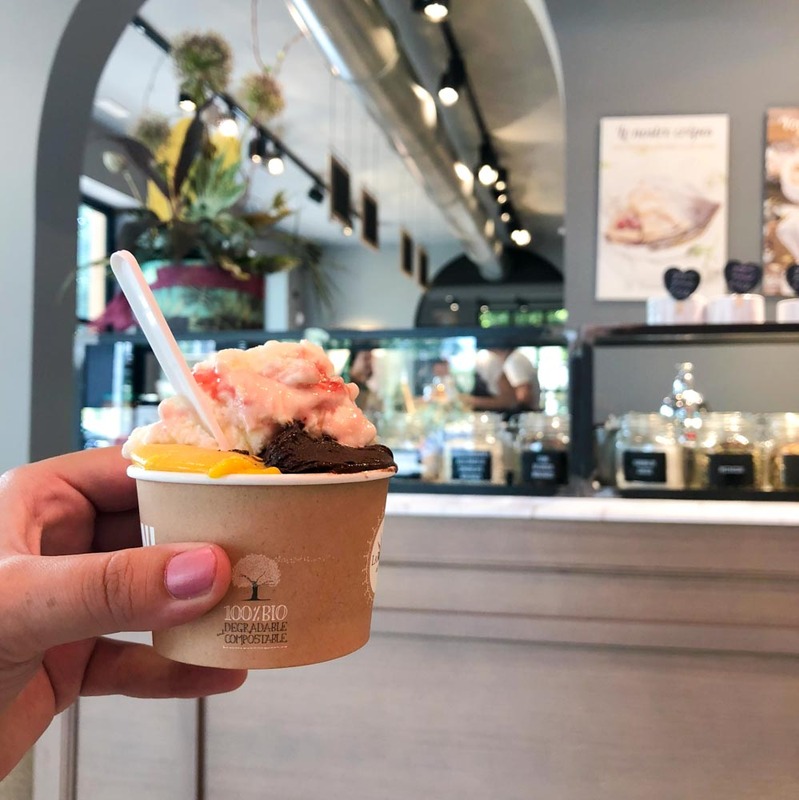 It is laid back, perfect for taking a stroll with gelato, trying traditional twisted bread coppia ferrarese or sitting down for an Aperol Spritz. You have to visit the castle Castello Estense and the main square Piazza Trento e Trieste with the Cathedral of Saint George. 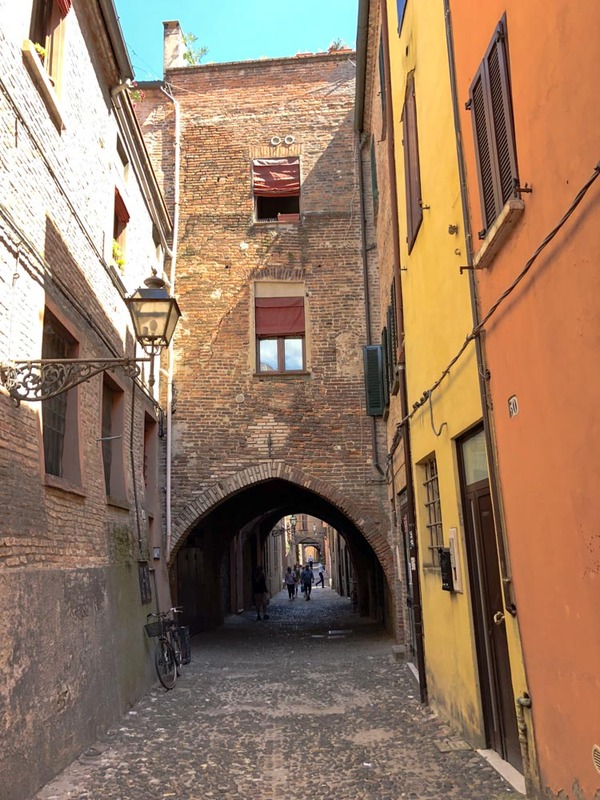 Admire the narrow streets of the Old Jewish Ghetto and step back in the Middle Ages at Via delle Volte. It’s perfectly preserved round cobblestone street with passageways between buildings that form a series of arched tunnels. 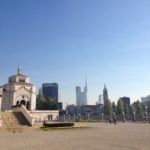 Escape the summer heat at city park Parco Massari and visit the monumental cemetery complex with the church Chiesa di San Cristoforo alla Certosa. 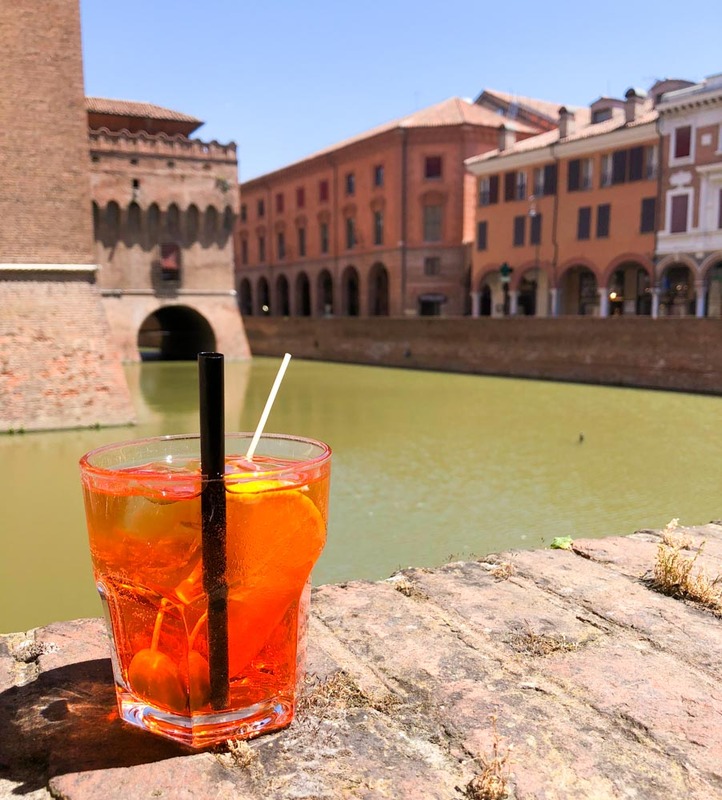 And you can take a walk on the well preserved medieval and Renaissance city walls that surround Ferrara’s city center. And all the Renaissance city of Ferrara and delta of the Po river are listed as an UNESCO World Heritage Site. 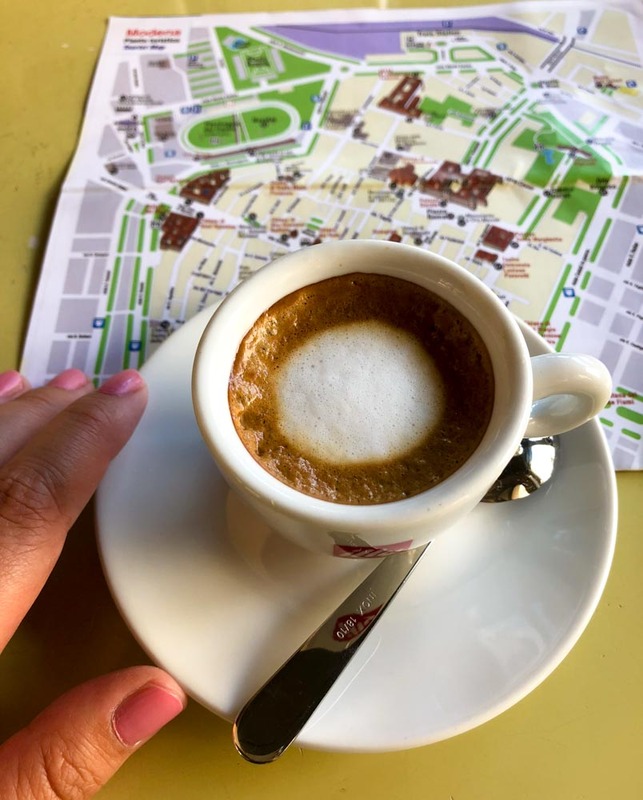 Start your time of exploring Modena with some good Italian coffee in one of the coffee shops at Piazza Grande. Then go on to admire the majestic 12th century cathedral with Torre Civica that is an UNESCO World Heritage Site. There was also a flea market there when we visited. Do also explore the colourful streets and stop at Piazza Roma and Parco Giardino Ducale Estense. In Modena you can also visit the Enzo Ferrari Museum and Casa Museo Luciano Pavarotti. Or if you are a foodie – don’t miss out on Balsamic vinegar and Parmigiano Reggiano cheese. 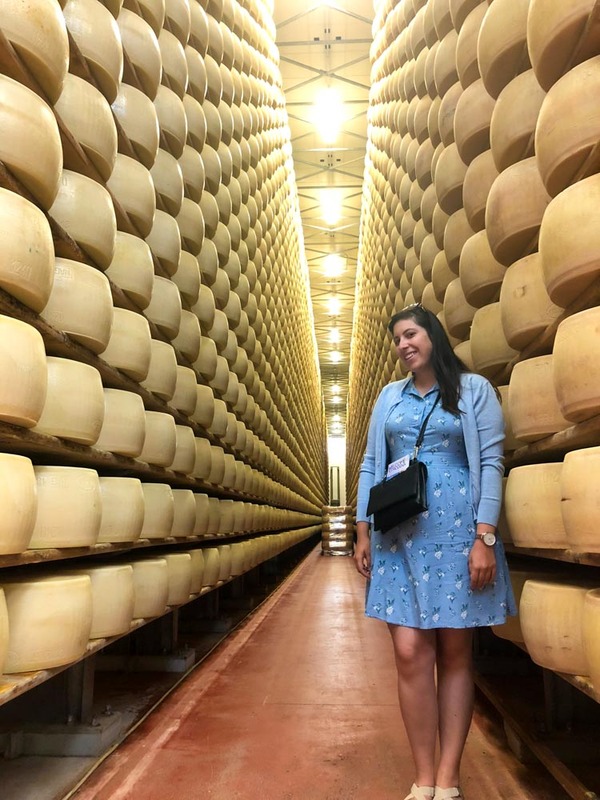 We did a tour of cheese diary 4 Madonne Caseificio dell’Emilia with chees tasting. 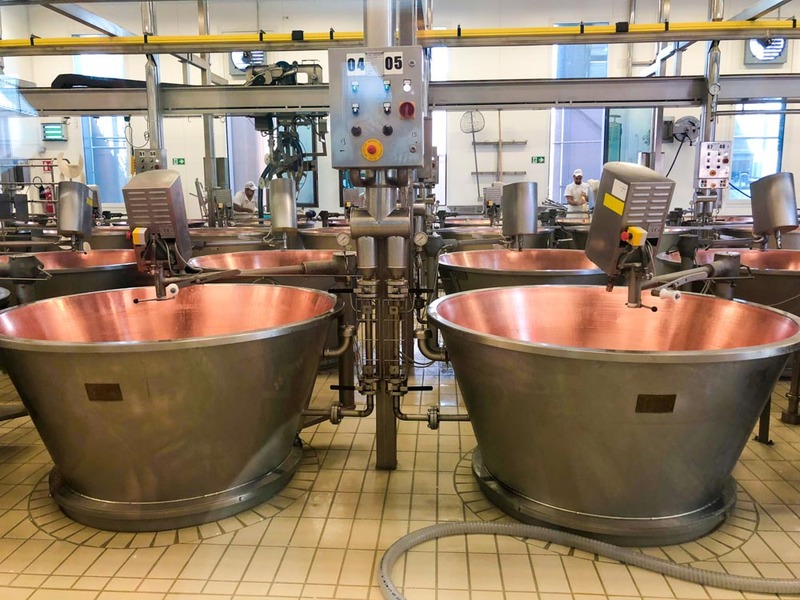 The diary is located a few kilometers outside Modena and they show you the whole process of making Parmigiano Reggiano. This chees is produced only in Emilia-Romagna and nowhere else in the world. Here you also have an opportunity to do a cheese tasting. 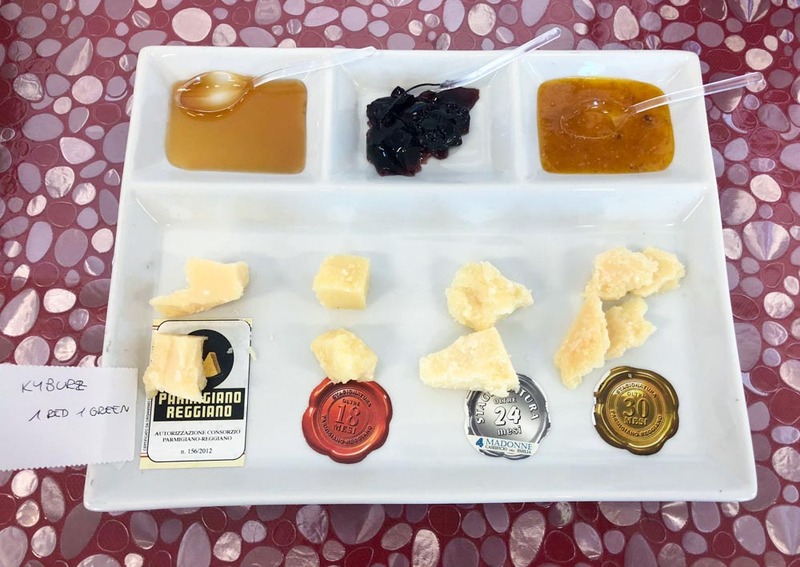 We tried Parmigiano Reggiano of different ages – fresh, 18, 24 and 30 months old – and paired it with sweet jams. And Italian wine, of course. Delicious! Parma may be known for ham and prosciutto, but the city has a lot more to offer. 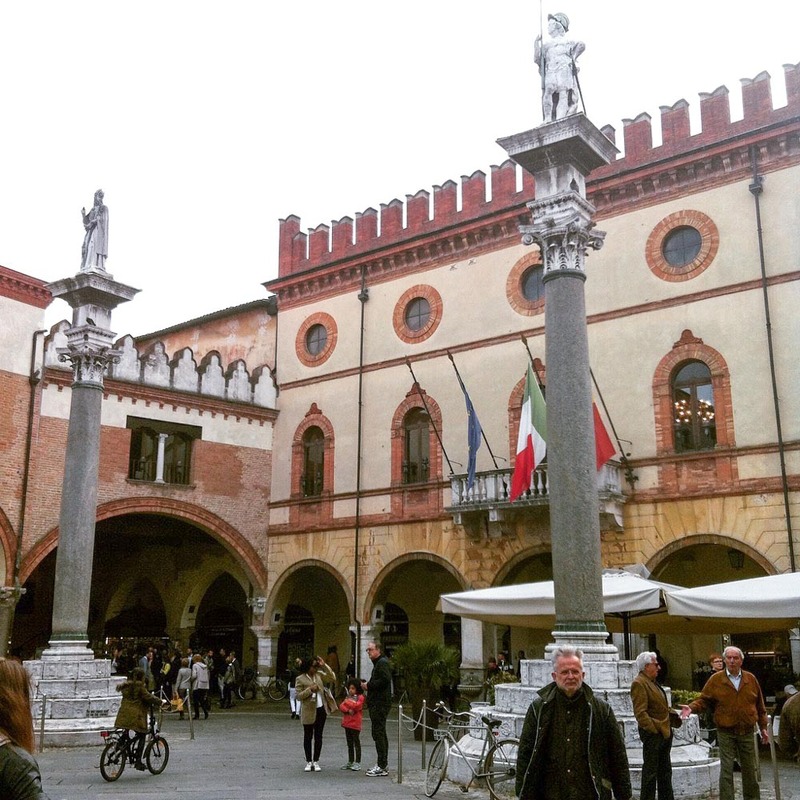 Historic center of Parma is an UNESCO World Heritage Site so just a stroll around the city is nice. Enter at colourful Str. 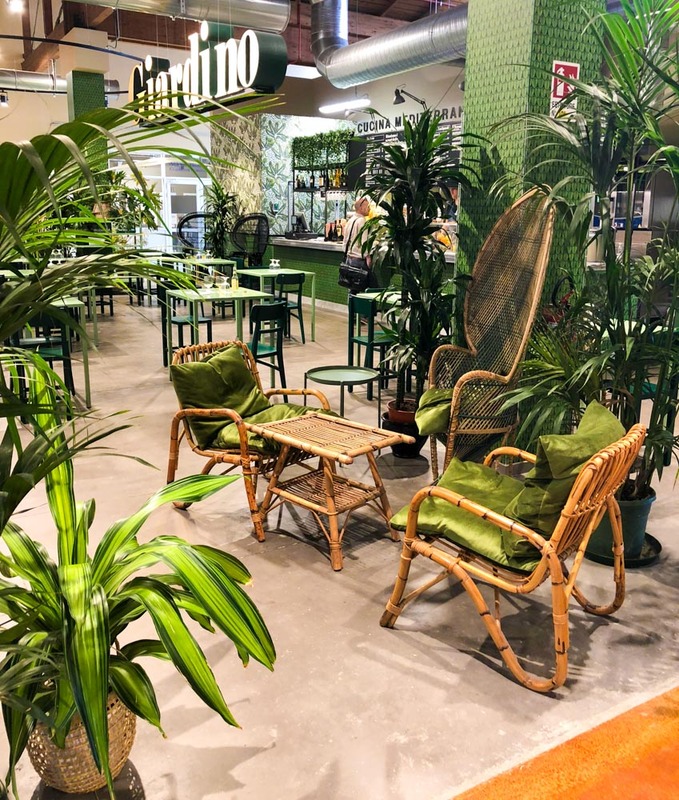 della Repubblica and start your exploration at the central square Piazza Garibaldi. 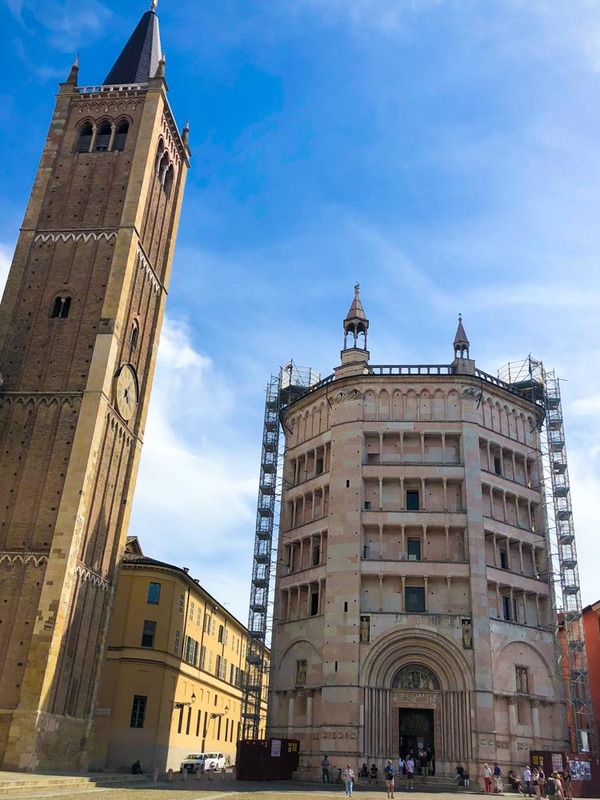 Admire the Palazzo del Governatore, go around the corner to see the Basilica di Santa Maria della Steccata and make your way towards Parma Cathedral and Parma Baptistery. 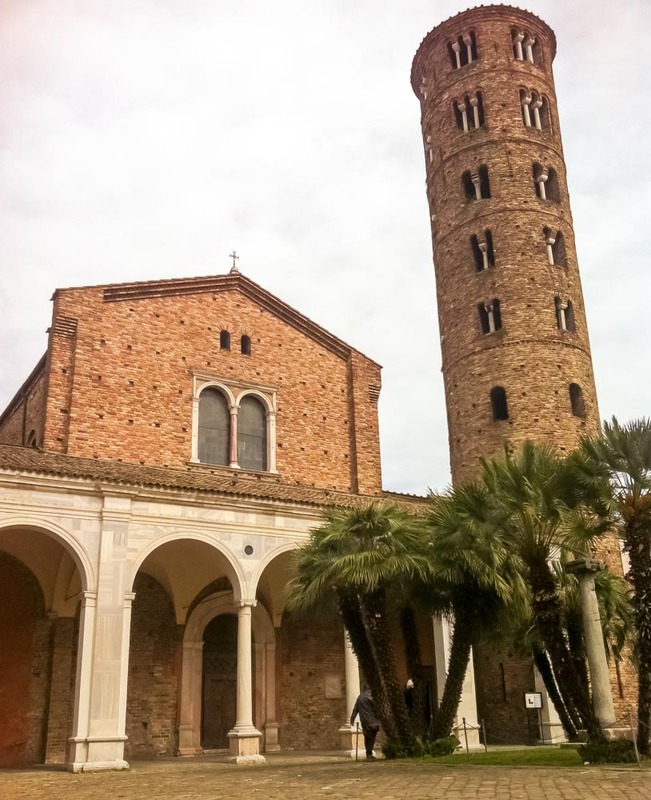 The latter is an octagonal building and is one of the finest medieval buildings in the whole Italy. 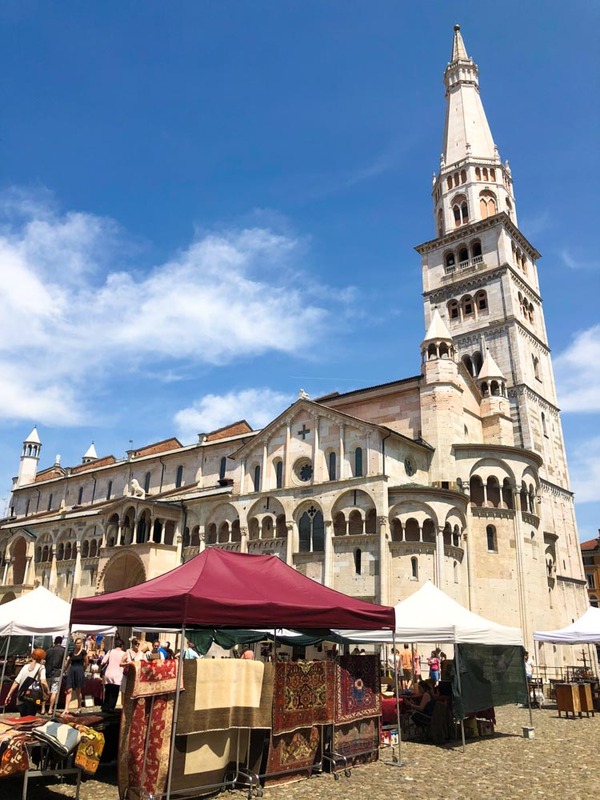 It was built in the late 12th and 14th century, covered with pink marble from Verona, and is one of the finest medieval buildings in the whole Italy. 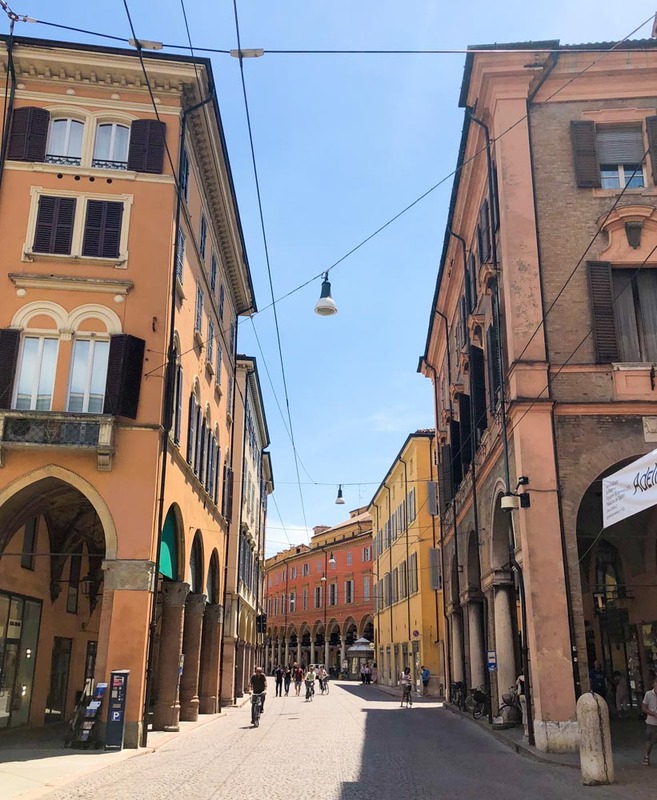 Continue towards Palazzo della Pilotta, which is a home to two museums and some other cultural institutions, cross the Ponte Verdi and you will get to the green Parco Ducale with beautiful Palazzo Ducale del Giardino, which is home to Parma’s provincial police. 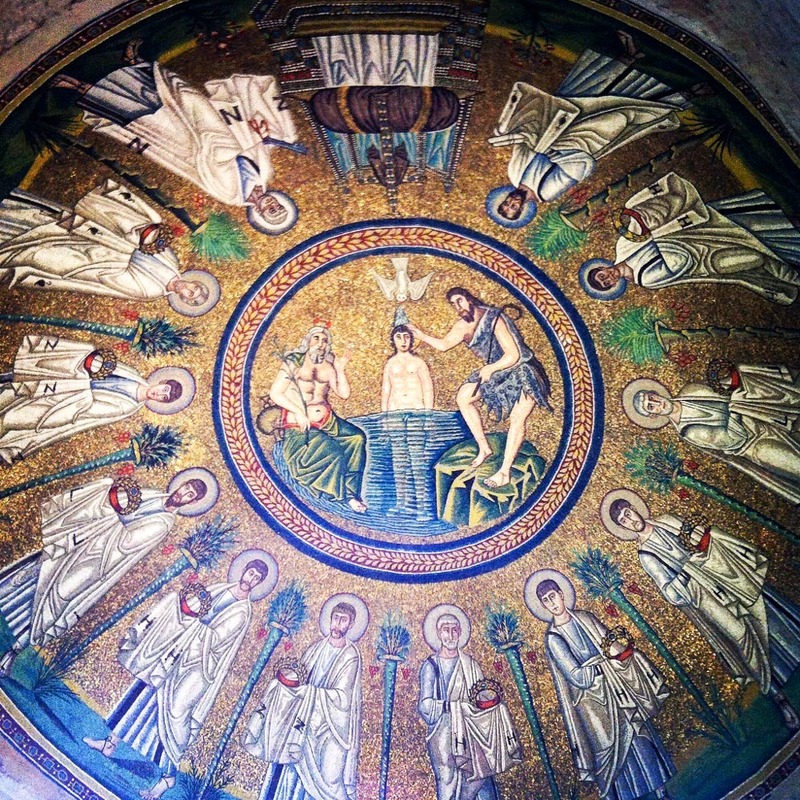 Another UNESCO stop in Emilia-Romagna is Ravenna, known for its beautiful mosaics. In year 402 Ravenna become the capital of the entire Western Roman Empire and with new churches the mosaic art in the city thrived. You can find them today in seven buildings, which along with the Tomb of Theodoric make a UNESCO World Heritage Site. So do visit Neonian Baptistery, San Vitale, Mausoleum of Galla Placidia, Sant’Apollinare Nuovo, Archbishop’s Palace and Arian Baptistery. Stop for a pizza in main square Piazza del Popolo. If you are a fan of Italian poet Dante Alighieri, in Ravenna you can find his tomb. And if you are visiting the region in summertime also stop in nearby seaside resort Rimini for some beach and gelato. Bordering Emilia-Romagna region is also the tiny country of San Marino. If you have time, I definitely recommend stopping there and exploring this fifth smallest country in the world. 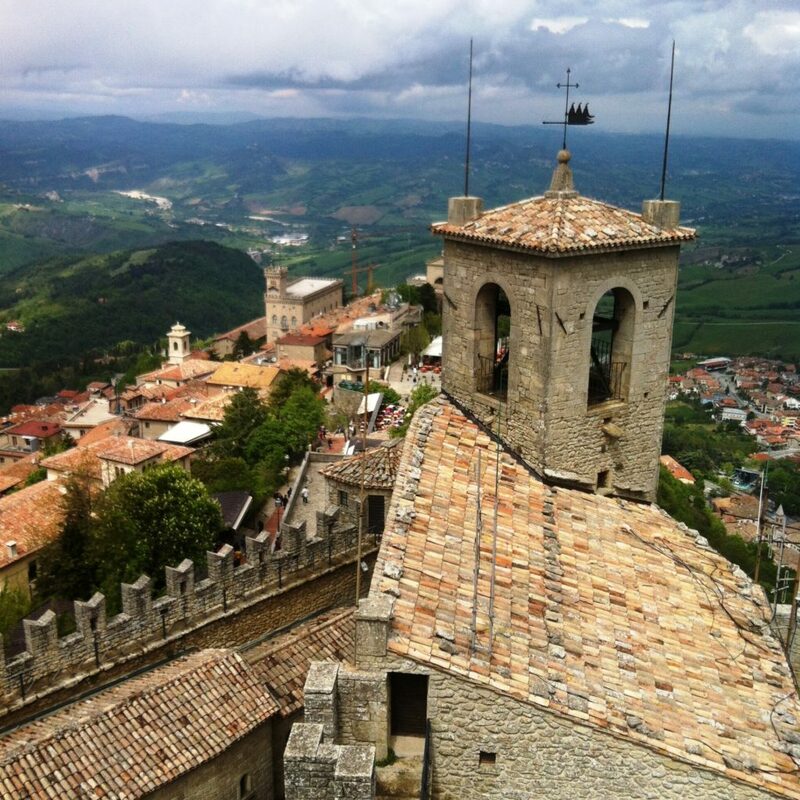 Check out also my guide to San Marino, where you will find all “must see” stops. 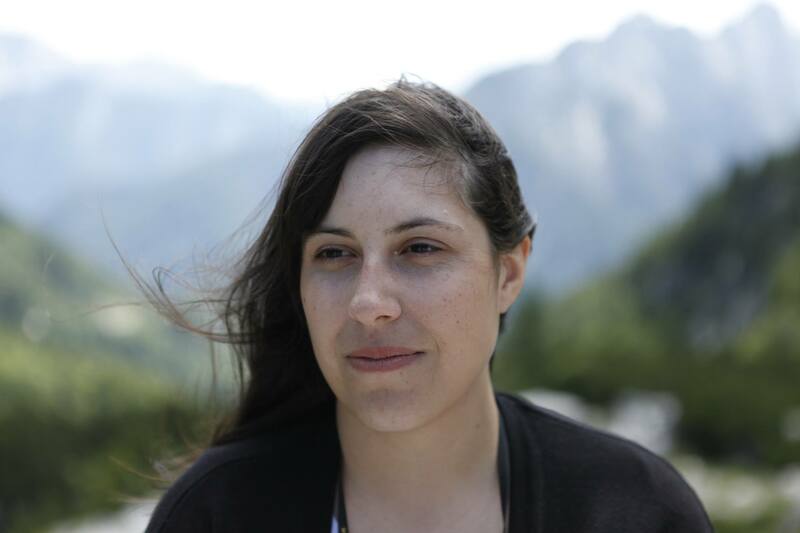 Dear Vanja, I read your post above with great interest. You’ve put it together beautifully. 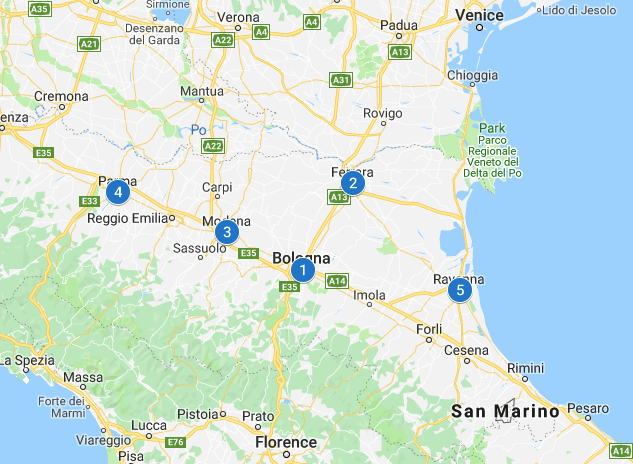 My interest in this is that I intend going on holiday to this region of Italy this autumn visiting Bologna and Ravenna as well as Urbino and Pasaro (birthplace of Gioachino Rossini), and staying in San Marino. I have also read your main post on San Marino. Thanks for your postings, and keep up the good work you do. Hi Haydn, thank you so much for the lovely comment. Nice choice for your holidays, hope you will have an amazing time visiting Italy and San Marino!